Americafruit, Fresh Produce Journal, Produce Plus and Fruchthandel Magazine. Fruitnet is the only news provider that can deliver informed and high-profile coverage of the entire global fresh produce business, reporting on developments in all major markets via an international network of reporters. The coverage is comprehensive, but not congested; Fruitnet’s editors select only the most relevant and important stories for publication. 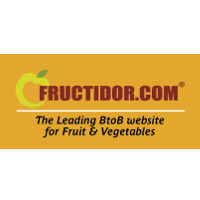 Fruitnet Daily News is a free, premium-quality news service sent via email to tens of thousands of fresh produce industry professionals worldwide every day. 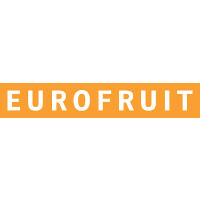 The service includes carefully selected stories, interviews and features produced by the editors and journalists behind Eurofruit, Asiafruit and Americafruit, published by Market Intelligence. Fruitnet publications also organise fresh produce conference events all over the world – the best way to explore commercial opportunities and make new business contacts. The group’s annual events now include Asiafruit Congress, Global Berry Congress, Fresh Produce India, Fruitnet Forum South-East Europe, Fresh Produce Forum China, Fruitnet Forum Middle East, FPJ Live and DOGK. Poland Fruits is a business magazine and a web trade platform directed to B2B and B2C. The mission of magazine is delivering information to the overseas companies interested in the Polish agricultural and food industry. The magazine is also a database which facilitates the exchange of economic and commercial contractors looking for business contacts in Poland. Poland Fruits is addressed to manufacturers, exporters and importers of agricultural and food industry (including food producers, wholesale and retail food trade companies, export/import food companies, groups of producers, producers and distributors of plant protections, machinery and equipment and accessories for agriculture, technology, logistics and transport companies, owners of individual farms, Polish and foreign wholesale buyers of fruits and vegetables). 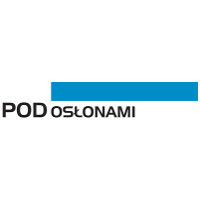 PodOsłonami.pl is a portal dedicated to growing and varieties of vegetables and decorative plants in greenhouses and plastic tunnels. The portal contains many interesting articles, information and reports on events and industry events. The portal also offers sections devoted to the protection and fertilization of vegetables and ornamental plants. More and more specialization in gardening was one of the reasons for the creation of the portal. 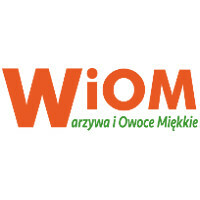 Miesięcznik „Warzywa i Owoce Miękkie” was created as a result of the merger of two titles "Top Vegetables Premium" and "Fruit Vegetables Flowers". The monthly presents current news on the production of various types of vegetables and fruits in various technologies and market trends from home and abroad. There are also a number of statements and advice from people who have influence on the development of vegetable and soft fruit sectors. The magazine features reports on meetings and trainings, news dedicated to vegetable and fruit producers, information on plant protection and valuable information on cultivation and running organic farms. The monthly is available as a subscription or electronic version. warzywapolowe.pl - all about growing field vegetables, new information every day, photos, videos, reviews, comments. www.jagodnik.pl is the first nationwide, industry website dedicated to producers of berries and all those passionate about these plants. Portal warzywa.pl was created for producers who care about current information on trade in vegetables and seeking cultivation advice. The site receives new content every day, including a selection of the most interesting news from the country and the world. These are both technical innovations, production advice, and market analysis as well as issues related to vegetable marketing. Portal sad24.pl was created for fruit farmers who care about current information on fruit trade and fruit production. The site receives new content every day, including a selection of the most interesting news from the country and the world. These are both technical innovations, cultivation tips, seasonal announcements adapted to the season, as well as market analysis and issues related to fruit marketing. 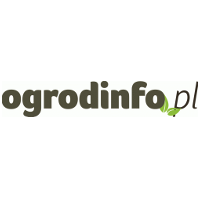 Ogrodinfo.pl was created for fruit farmers who care about current information on fruit trade and fruit production. The site receives new content every day, including a selection of the most interesting news from the country and the world. These are both technical innovations, cultivation tips, seasonal announcements adapted to the season, as well as market analysis and issues related to fruit marketing. Hasło Ogrodnicze is a professional magazine addressed to producers of fruits, vegetables and ornamental plants, as well as individuals and persons engaged in commercial, consultative and scientific activities. We will find there the necessary information about fruit, horticulture, floriculture, publications on the broadly understood economics of production and trade in horticultural products, as well as reports from fairs, national and foreign exhibitions, novelties from the horticultural foreign press and specialized thematic additions. Warzywa discusses issues such as: production economics, protection against weeds, pests and diseases, the latest trends in agrotechnics and fertilization, reports from industry events, organic production, issues related to gardening techniques, reports from leading farms, announcements of domestic and foreign events . 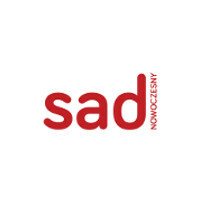 Miesięcznik Praktycznego Sadownictwa Sad - a magazine about gardening, focusing primarily on running your own orchard. The monthly articles are published in the following categories: Agrotechnics, Cutting, Fertilization and Economics. The latest industry news bulletins and newsletters are added to selected "MPS Sad" numbers.